Valentine's Day is a holiday that was special back in the days of dating but then turned non-existent after marriage. However, now that I have kids, it is once again special. It's fun to create Valentine's for Kenzie's classmates and now that she is older, she can help in preparing the treats. 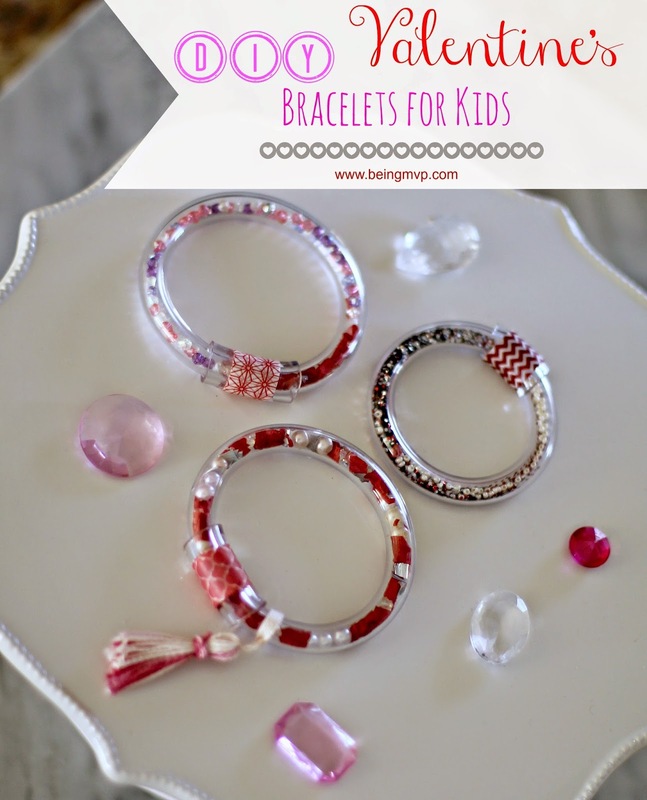 Ms. Princess is really into jewelry and dress up so it was fun to make DIY Valentine's bracelets for her to enjoy and share. 1. Cut your smaller tubing to a length that will fit over your child's hand onto their wrist. I used heavy duty scissors but you can also use a knife. 2. Use hot glue and fill in one end of the tube so that it is sealed. 3. While you wait for the glue to dry, start cutting the tissue paper into confetti size pieces and set aside. 4. 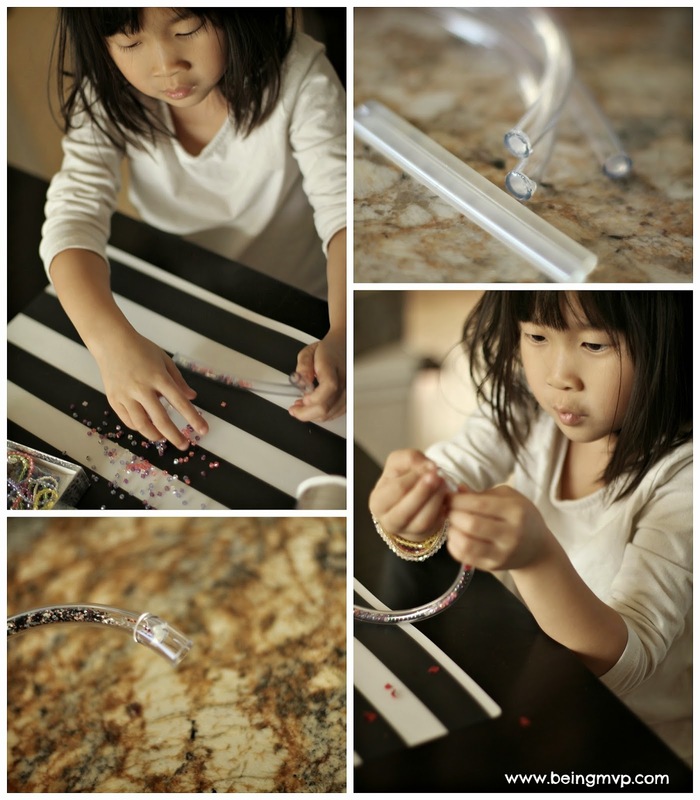 Start adding confetti, beads and/or glitter into the tube to fill. The chopstick came in handy in pushing down the confetti. 5. Seal the open end with hot glue. 6. Cut a small piece of the large tube (about 3/4 inch) and use it to connect the two ends of the smaller tube. 7. Use washi tape around the large tube (to hide the hot glue ends showing underneath). You can even add tassles or charms to embellish further. *I created the tassles simply out of twine. Kenzie prefers her bracelets to be simple with just the washi. 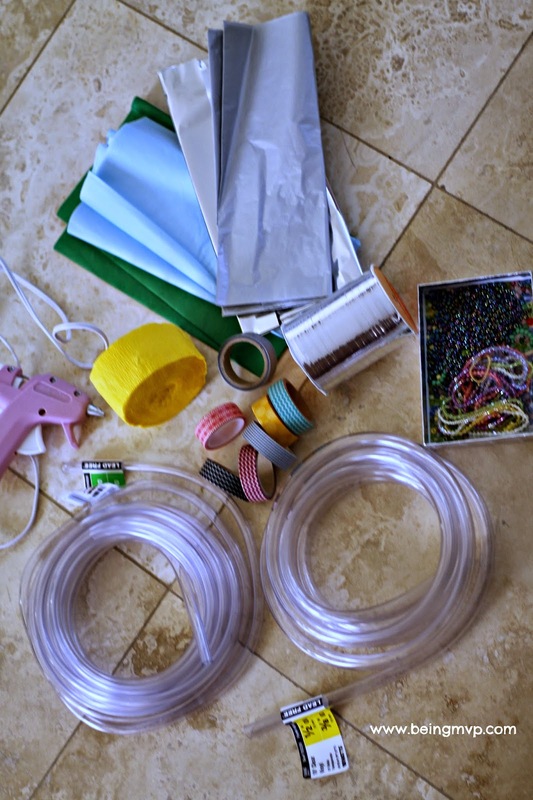 These were so much fun to make and your child can get as creative as they wish. The cost is minimal as you probably have most of the materials in your home. The tubing I purchased at Home Depot and comes in various sizes and lengths so you can even make some for yourself and/or your girlfriends. Kenzie has a ton of friends so we will be whipping up more in time for Valentine's Day. These would also make fun birthday party favors - premade or even in a DIY kit! 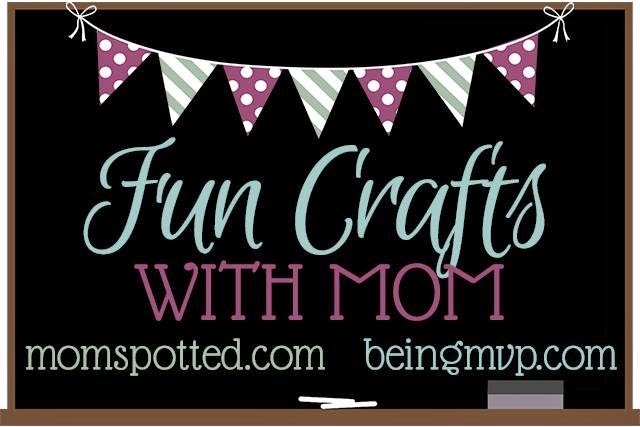 Check out the Make Your Own Heart Shaped Crayons Tutorial from MomSpotted this week. I hope you enjoy and link up your craft! These are so cute. My daughter loves making bracelets. We will have to try this! These are absolutely adorable! i just know that these would be a huge hit as a craft project with my little niece. Off to Hobby Lobby tomorrow!! These are super cute. I really like projects like this, that are similar in style so no one feels left out, but can be made differently to also be unique. I find those are the best projects for my family. These are so cute and something my daughter would love! I am going to pin this so I can try this with my daughter. I remember making bracelets from paper mache when I was a pre-teen - I love having tons of bracelets! These are sooo cute, and it would be easy to change the colors, etc, to be good for any day! Omgosh these are ADORABLE!! I would even wear one!! How super cute!! Running fashion we all want to catch. It's very tough to catch running fashion always because of financial problem. specially in jewellery sector. Gold, diamond is expensive for them Imitation jewellery India is good enough.